Tata Teleservices has fired between 500 and 600 employees to tide over difficult times in the hyper-competitive telecom market. As many as 500-600 employees have been impacted by the lay offs in sales and other related functions, two people familiar with the matter said. The lay-offs are across locations, they said, adding that the severance package being offered to the employees impacted by the decision is one month’s salary for every year of service. An e-mail sent to Tata Teleservices did not elicit a response. Sources in the company said that these are challenging times for the telecom industry. “What most of the operators including Tata Teleservices are doing is workforce rationalisation, to stay competitive in line with the needs of the market,” they added. The lay-offs comes at a time when the telecom industry has been witnessing an intense tariff war triggered by the entry of Reliance Jio, whose disruptive positioning in the market has left most of the telcos bleeding. The telecom operators are facing tremendous pressure on revenue and profitability even as the industry’s debt has soared to nearly Rs 4.6 lakh crore. 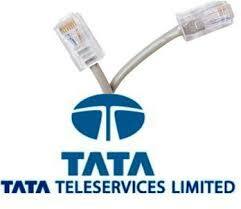 Tata Teleservices spearheads Tata Group’s presence in the Indian telecom market. The company, along with the listed arm Tata Teleservices (Maharashtra) has presence in 19 telecom circles in the country. It offers integrated telecom solutions to its customers across wireline and wireless networks on platforms like GSM, CDMA and 3G. As per the data of Telecom Regulatory Authority of India (Trai), Tata’s mobile subscriber base stood at 51.2 million as on February 28, 2017. The company has nearly 4.4% market share in the country’s total mobile subscriber base of more than 1.16 billion. Meanwhile, Tata Power is set to acquire 11.82 crore shares in Tata Teleservices following the approval by the Delhi High Court to the consent terms between Tata Sons and NTT Docomo, with respect to the London Court of International Arbitration Award (LCIA) dated June 22, 2016, DHNS reports from Mumbai. In terms of the inter-se agreement dated March 25, 2009, Tata Power is to acquire 11,82,22,767 equity shares of Tata Teleservices (TTSL). As on date of the arbitration award, which is June 22, 2016, $1.17 billion was payable by Tata Power for the same, Tata Power said. Tata Power has remitted Rs 790 crore to Tata Sons on August 9, 2016, and this will be appropriately adjusted against the amount that will be governed by the terms and conditions similar to those stipulated by the Delhi High Court of April 28, 2017, the company said. As per the order, Tata Sons shall take necessary permissions from the Competition Commission of India and tax authorities to remit the amount in lieu of shares to be transferred to Tata Sons as per the consent terms, the company added. Japan’s NTT DOCOMO had acquired a 26.5% stake in Tata Teleservices for nearly Rs 12,700 crore (nearly $2.5 billion) in 2009. As per the agreement, DOCOMO was to be paid 50% of the acquisition price if it exits within five years. DOCOMO exercised on July 7, 2014, its right (option) to request that a suitable buyer be found to purchase its TTSL shares for 50% of the acquired price, amounting to Rs 7,250 crore, or a fair market price, whichever is higher. But the Tatas offered DOCOMO only Rs 23.34 per share according to Reserve Bank guidelines, following which the Japanese telecom major invoked arbitration. The Japanese telecom major won the arbitration proceedings, following which the Tatas deposited $1.17 billion with the Delhi High Court. Tata Sons had agreed to pay $1.18 billion in damages to NTT DOCOMO on February 28, 2017, paving the way for the settlement between the two parties. The Delhi High Court, on April 28, 2017, allowed Tata Sons to pay NTT DOCOMO the amount paving the way for the battle between the two companies to end.